This week I'm in the mood to see some girly classic looks. 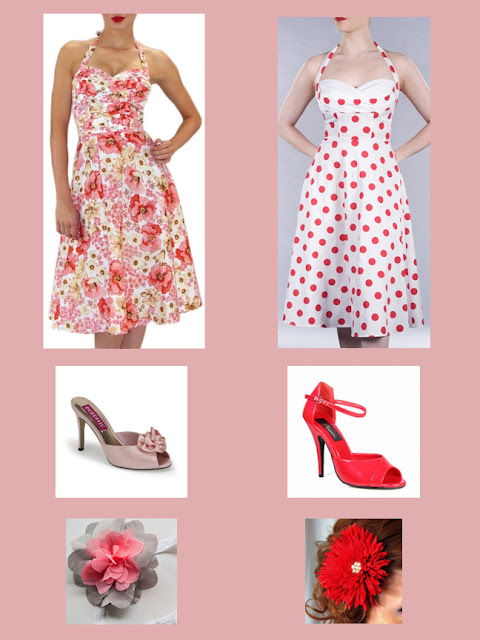 I've paired up two outfits that would be perfect for a summery pinup photo session. Details below! NONE OF THESE PHOTO'S ARE BY 422 STUDIO all photo's in this collage are @ their original photographers. Contact me today to set up your Pinup Photo Session. I am located in the Richmond, Virginia area. ginger@422studio.com or call 804-833-0888 www.422studio.com for more samples of my work.